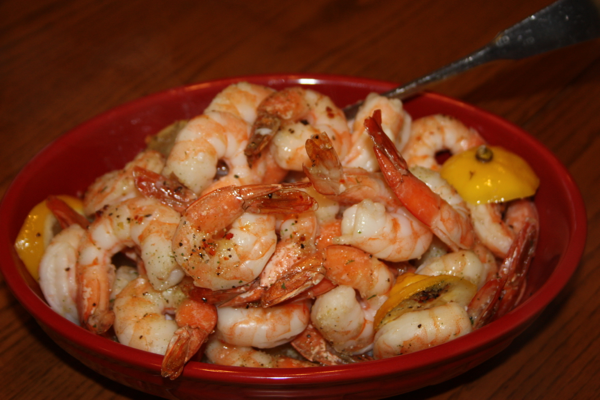 If you are looking for something easy to make, this recipe is by far one of the easiest ever. I have served this pork too many times to count and it always has rave reviews. When the pork is ready, it is super tender and juicy. 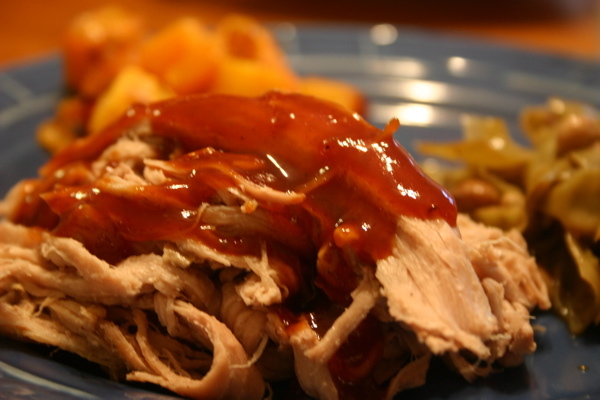 Since you are cooking the pork low and slow, in addition to being tender and juicy it is low maintenance. I shared this recipe with my neighbor and she served this to the teachers at her son’s school the other day. After she got home she called to thank me because she said this recipe made her look like a rock star in the kitchen. She was super excited. After cooking the pork, it is very versatile. 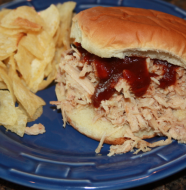 The pork can easily be used for pulled pork sandwiches with BBQ sauce. For pork tacos, add some cumin. It can also be turned into awesome salsa verde enchiladas. If that isn’t enough, it is one of my favorite toppings for baked potatoes. The options are endless. I usually like to cook a large pork loin and then I can freeze several quart bags of it to have on hand to easily pull out when we need a quick meal. You won’t go wrong with this meat!!!! Generously coat your pork loin with salt and pepper. I actually like to rub the salt and pepper into the pork and make sure it is coated well. (If you are using a large pork loin cut it in half to fit in your crock pot.) Now put the pork in a crock pot and add 1-2 cups of water. (You want the water to be about halfway up the side of the pork but not covering it.) Cook on low for 6-8 hours. You will know it is done because it will fall apart. Shred the pork. Reserve some of the liquid to add to the pork when reheating (If you make the pork early, you really do want to save some stock to insure that it doesn’t dry out). * You can also do this in the oven on 325 degrees as long as the meat is covered but I prefer to do it in the crock pot as this technique is easier. 7 Comments on "Pulled Pork"
This is the best pulled pork I have ever made, Dinah! I’m so glad you’re doing this blog! Thanks Kendri! I am having a lot of fun doing it. I am glad you liked the pork! Dinah, if you freeze it, do you freeze it with the stock or do you keep that separate? 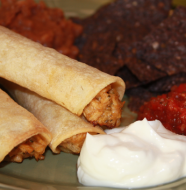 Marissa – I freeze mine without the stock and then just add some stock as I am reheating it. Dinner tonight was a huge success thanks to this deliciousness!! 🙂 You are the best, Dinah! !